ASP Alfonso conducted a Family Support Group meeting last 28 September 2016 at Alfonso Therapy Intervention and Resource Center, in commemoration of the 4th Year Founding Day Anniversary of Alfonso Sped Center. The FSG was facilitated by ASP Trustee Jan Peña with son Muneer and ASP Alfonso President Mrs. Jeanette Vidallon. It was started by a doxology to the song "Huwag Ka Nang Iiyak " by KZ Tandingan. It was participated by thirty parents who were very emotional after watching the movie entitled Black Balloon. Jan was able to emphasize siblings issues, family members' day-to-day challenges and community struggles. About the contributor: Noleth Rozul is a college graduate B.S medical technology at De Ocampo Memorial College Manila. 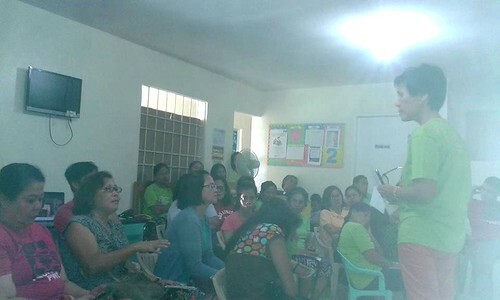 A fulltime housewife married for 19 years, now an active member and secretary to ASP Alfonso Chapter.